Please Note: we prefer Credit/Debit cards. Weekday Classes: Please see our Classes page for pricing. All weekday classes are enrollment-only. Members receive a 20% discount on all classes. Please call or email for code. 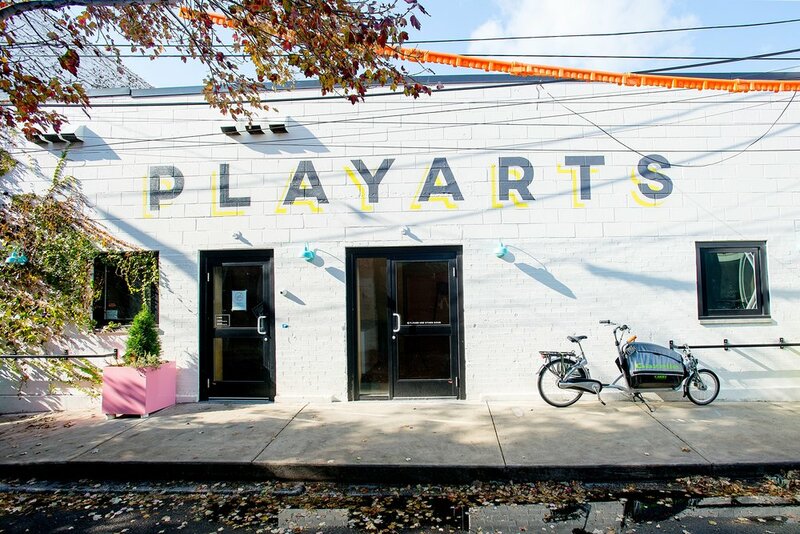 Open play is always available while we are open, regardless of membership status. Starting May 2019, PlayArts will be closing at 2:00pm on weekends. We are less than one block north of SEPTA's Front & Girard stop, easily accessible by trolley, bus and the Market Frankford Line. Please use the rear entrance on Lee Street. There is also a paid parking lot operated by Park America located at 1320 N. Front Street. New to PlayArts & considering a membership? Sign up for a Free First Visit offered every Tuesday and Thursday. Clients must register at least 48 hours in advance to be eligible. Give us a call or shoot over an email! We're always more than happy to chat.